Made for women, by women - The Brownie womens open toe sandals have a comfortable velcro and buckle fastening to suit any foot shape. 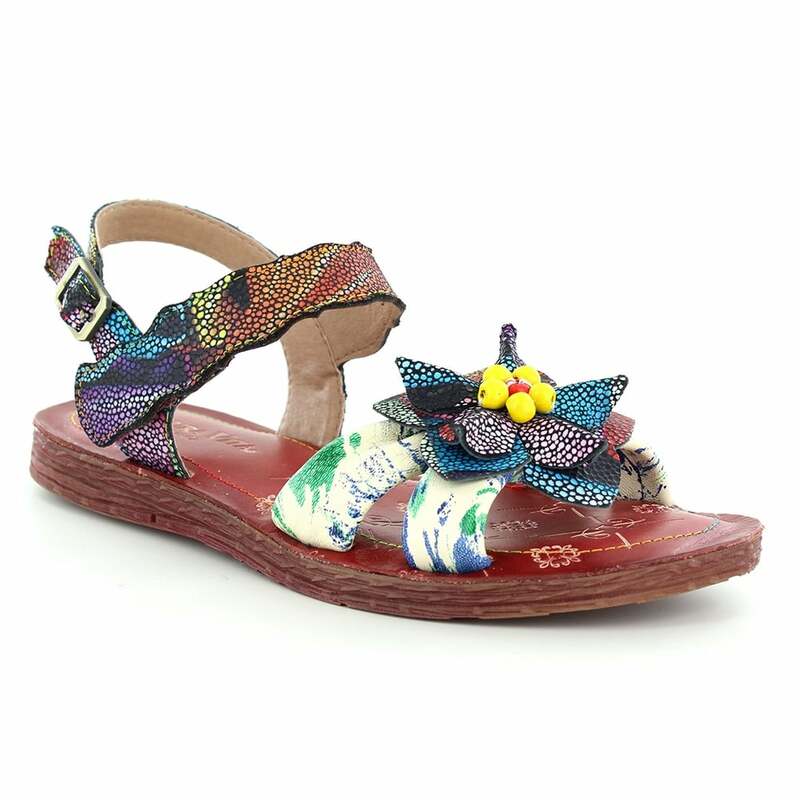 The sandals are decorated with a beautiful beaded flower design - found across a genuine leather strap with beautiful hand finished detail. Inside, the Brownie from Laura Vita is lined in matching red leather and textile with a comfortable padded insole, stamped with the Laura Vita France logo in white. A perfect womens slip-on sandal for those hectic shopping days out or a stroll in the park. Fantastic for casual wear but stylish enough to dress up for something a bit more special. The free spirited brand renews its entire collection every season - so get your Laura Vita Brownie 04 SL265-4A Womens Open Toe Sandals while you can!